So, I&apos;ve owned the phantom 4 for about a month now, and today when I was supposed to go out flying, I noticed my remote wasn&apos;t fully charged, so i decided to charge it. I didn&apos;t think anymore of it, and when I returned after a while the battery percent was at 54% but it had stopped charging. So i replugged the charger and it indicated it charger for about 30 seconds and then it stopped. This happened every time i tried to charge it. So then I started reading about the problem on the internet, and it was suggested that if the battery wouldnt fully charge, try to discharge it to under 20% and then recharge. Same thing then, with no change. And by the way, the RC discharged fast, I mean really fast, like 1% a minute minimum with a phone connected. Then i noticed a firmware update had been released for both the drone and RC, so I successfully managed to update that before the battery was too low. So I thought maybe the firmware would help the problem, but with no such luck. So now the battery is like at 10% or lower, and wont take a charge as it only "charges" for about 30 seconds when plugged in. The power supply does charge the drone battery successfully with no problems however. I&apos;ve uploaded a video to further illustrate my problem. It&apos;s beeping because of the low battery, and when I plugin the charger it goes away for about 2 minutes in this video. Now I am afraid to turn the controller back on in fear of draining the rest of the battery. Iv&apos;e also measured the voltage coming from the power supply, witch is the correct voltage of 17.5 V. So, any advice on how to handle this? Except for sending in the unit or trying to make sure the plug is all the way in? It&apos;s very frustrating buying something so expensive for it not to work. Edit: now when i plug in the charger it only "charges" for 2 seconds before shutting down. Hi Nony, please try to reset the RC by below method. * Turn on the controller, and the aircraft should be off. * Press C1, C2, and shutter on the controller then turn the controller off. * Turn on both the aircraft and the controller and link the remote. 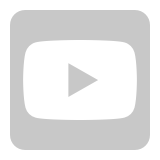 Hello there, I did as you asked as shown in the following video with no success. However, I noticed when i turned the RC on this morning that the battery on it had increased from 8% to 45% or something. And I did not have the charger plugged in over night. Strange. Seems the controller is reporting a wrong batterypercentage. I can&apos;t figure out what&apos;s wrong. Hi Nony, what a shame! I have the same issue. Could you send me your email or facebook contact so maybe we can talk about it. Thanks for your time, have a great day. Have you tried to charge the RC when it&apos;s turn off? If still the same, I&apos;d suggest you to send it in for evaluation. I would suggest you to send it in for evaluation. Please send an e-mail to support@dji.com with the following info, the subject should be " Forum support" . We&apos;ll help you create a case. I have the same exact problem. Exaclty as you describe. I have had mine for a while and it has worked well in the past, I believe it must be one of the recent firmware updates. Sending it away for weeks doesn&apos;t sound like a good resolution. This is why I am avoiding doing any of the updates. My drone is flying just fine how it is. Everything seems to be fine so no updates for me. Again, I got the same problem and I sent it in. RC was evaluated and replaced at no charge. P4 RC costs $289 if I had to pay. I opened my phantom 4 yesterday and try to use it but for sure I cannot, and I will explain you why , read the instruction and start to charge the one of the 3 battery I have, so 2 of them really charge fine and one of it nothing at all, I mean just one green blink and then nothing, so I was read online some suggestion but still nothing, for sure the battery have problem like many of us. After it, I start to charge the RC, I know to charge it take almost 3 hr. and 40 min, but honestly I was so surprise because after maybe 30 second or maybe 1 minute stop charging, BTW I try to charger it for all night long, honestly nothing change I have the same problem, when I turn it on I have red light blinking and one white light blinking and at the same time beeping, so I cannot use it at all because for sure the battery of the RC is really too low, I really don’t know what I have to do. Brand new and I cannot use it, I am really disappointed because I spent $1200 for what!!!!!!. Honestly I am thinking to return back everything, but maybe DJI have a solution for it, so do you know what I can do please????. Thank you in advance and I am sorry for bothering you. 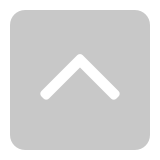 What do you see when you push the power button, do any of the four white LEDs light up ? When charging make sure the plug is fully inserted into RC, some need a firm push to be properly seated. * Press C1, C2, and shutter (top right button nearest antenna) on the controller then turn the controller off. * Turn on both the aircraft and the controller. * Press C1, C2, and the record button (top left button) on the controller, then the controller will beep like D-DD. *Let go all fingers, press the wheel on the right side of the controller and then the first light of the controller will become blue and it will constantly beep DDDD. * Use a pen to click the linking button on the aircraft and hold for 3-5 seconds, and then take the pen off the aircraft and wait, it will be linked soon. I&apos;m having the same remote control problem as described above. Do I need to send my remote in for replacement. I have the same issue. How to fix this err? Got my P4 yesterday. What a disappointment to find that the RC will not charge. I think I will return it to Amazon for a replacement. That makes more sense then sending it for repair. Hell, I even paid for DJI Care. Not happy. I&apos;m sorry to hear. If you just got it from a dealer, going through them would be the best course of action. DJI can take care of this for you as well, though Amazon may be a tad faster. Same with my brand new P4 purchased from Bestbuy Canada with no return for open boxes policy. Sending mine to DJI CA for replacement. I have the same problem as well, I posted a couple of weeks ago about it and contacted support, they said I can send it to a service centre in Australia and I will have to pay or I can send it back to hong kong to get it repaired under warranty. This is a joke, I should be able to send it to the certified centre here under warranty not all the way back to hong kong. I bought my P4 November last year and it was working fine since yesterday. I&apos;m on vacation and I brought the drone to get some cool footage of the places I will be visiting during my stay. So, I charged the drone battery first with no issues and left the remote charging during the night to go out early in the morning to catch the sunrise and when I turned on the remote on the next morning I noticed the battery wasn&apos;t fully charged and the 3rd led was blinking. I walked back to my hotel room to put the remote charging again and just charged about one minute and a half and goes off I turned the remote on and same result no fully charged, now I&apos;ve got an expensive drone laying down on my hotel room and don&apos;t have vacation footage because I can&apos;t charge the remote. I&apos;ve got the same problem, I contacted support and sent it back to hong kong for repair under warranty. Cost me $70 for standard post and it&apos;s still over there. I flew mine couple of times and it nearly drained the battery each time. Contact support and send it back for repair. I flew mine couple of times as well and never had problems. I don&apos;t want to have my drone stopped at home during months while the remote is at DJI repairing from a problem which wasn&apos;t my fault . If I bought the drone I need the drone, these drones are not cheap so we all are expecting product quality. Same issue fully charged RC dead in less than 30 mins. Tried reset as requested still issue only after new software update. I have a friend he as never updated his P3 or P4 works fine. Shouldn&apos;t DJI test updates before releasing? DJI must do a better job if you want to keep my business. Any fix for this RC battery problem yet? I also have the same problem with my Phantom 4 controller. I its plugged in and 1 light is blinking, then when I remove the charger and turn it on, it beeps at me and says low battery. Then when I plug the charger back in it resumes the single light blinking. Does anyone know of a cheeky way to downgrade the controller firmware as I have a number of clients relying on me over the next few weeks. Sending this remote to HK is not an option. Same problem, only 2 leds of charge then stop charging... Please dji, give us a solution!!!! Is this happening right after a firmware update or does this seem to be a random occurrence? If it&apos;s less than a year old, have you contacted Support to look into having the RC sent in for repair or replacement? Will the RC connect to the Go app at all to even attempt a firmware downgrade? There is a AU facility in order to have the RC repaired or replaced. Could you answer post #26 as well? Hey Jamie, thanks for the response mate. There is only 1 version of firmware available when I open the downgrade option on dji go app and it is the current one installed. I also understand that there is a repairer in Aus but as I purchased my drone off DWI which ships from HK I do not wish to pay to send my drone overseas, considering the fault does not lie with me or anything I have done to the drone. If DJI would allow me to get it repaired in Aus then id happily allow you to send TNT to pick it up. Surely the firmware can be reversed or patched without need to post anything anywhere? Greetings All.... I also just started experiencing this same controller battery issue. AAs for me, I can&apos;t understand why it sounds like it is so difficult to get support from a local dealer. I had been considering getting the Mavic Pro but considering the lack of support for DJI products, I&apos;m rethinking that decision. Can anyone suggest a comparible drone other than DJI. If they make it necessary to jump through hoops to get service I think it&apos;s time to start researching the competition. Any suggestions would be appreciated. I have downgraded the firmware from 1.08 to 1.06 and the one below (1.5.something ) and still no luck. Could you please PM me with the aircraft SN? I&apos;ll help to check if it is covered by your AU repair center or not. "As per checking the SN number, the drone is American version. I am afraid that we cannot provide you a warranty claim due to DJI doesn&apos;t cover worldwide warranty. " Got this message from your support guys today. What exactly does this mean? We sell different version drone in different region. If you purchase the drone in local dealer, you should get a AU version drone which can obtain the warranty service in AU. Sorry we don&apos;t provide international warranty service. So its your product, your issue, your faulty hardware. 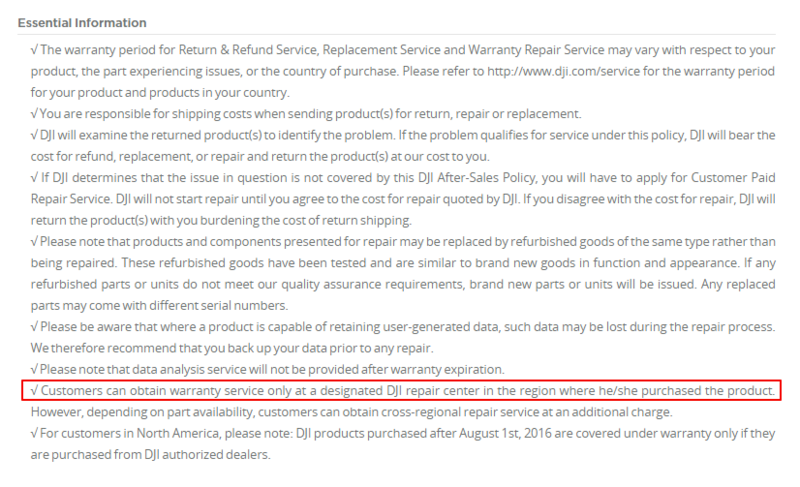 Yet its MY problem if its in a different country to purchase where YOU HAVE a DJI Repair Center. Id bang my head on my desk but i already have a headache from talking to your incoherent support officers. Also same problem had to send it back to China as I bought it on eBay 5 months later I am still waiting. I bought it from e-infinity after several nasty messages to them for taking so long I got them to contact their suppliers for a new remote apparently they agreed. No I am playing the waiting game again I have had the drone for 4 months with the remote and 5 months without it.The drone is now 9 months old I am not happy. I will have no warranty left soon. It&apos;s not the drone that&apos;s the problem it&apos;s the controller. I cannot charge it past 2 lights. I am ready to place an order with you guy&apos;s for 2 inspires, 1 Inspire one with a 2 Flir Cameras and another Inspire 2 with a X5 camera. I am holding off on this purchase till I get a satisfactory resolution to the battery charging problem that seems to be happening to more and more Phantom 4 Controllers. I responded to you on your own thread. If you could reply to that post, we can help to get this addressed ASAP. To clarify, are you sending the RC back to the Support center in China? If so, could you please provide your case number so I can look into it?